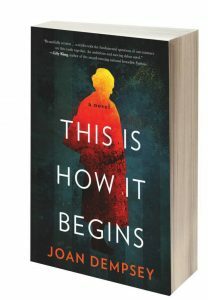 “This Is How It Begins,” new this month from Maine author Joan Dempsey, is nothing if not timely. It is also an enticing read, well written and researched and with mindfully drawn characters. The novel is an empathetic dive into discordant factions from two eras that impact one family: the Polish Resistance during the Holocaust and, in the current day, the Christian right vs. gays. Ludka Zeilonka, 85, is a Polish Catholic, who as a young woman played a pivotal resistance role in her homeland during WWII. Now living in Massachusetts, where she is an art history professor, she has a number of secrets about her past. As her secrets begin to come to light and resurrect for her the turmoil and unanswered questions of her history, her grandson Tommy is fired from his teaching job on the grounds of being anti-religious and squelching Christian students’ rights. Warren Meck, an ambitious, influential radio host, is a point man in that campaign to protect children from anti-religious bias. Ludka’s son, Tommy’s father, is president of the state Senate and the political wrangling in the book as Tommy’s case unfolds is riveting in itself. Violence and deception also add to the drama. Dempsey deftly mingles Ludka’s and her grandson’s stories. She spent nearly two years “doing nothing but research, then got to spend a month in Warsaw and 10 days at the United States Holocaust Memorial Museum, thanks to a grant from the Elizabeth George Foundation,” she says. With “This Is How It Begins,” Dempsey’s goal was for readers to see the “shades of gray” in what might appear to be black and white, and she succeeds. 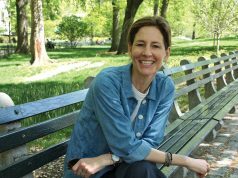 Dempsey spoke with us about her new novel. Q: Where did the idea for this novel come from? A: I set out to write a political novel starring a character named Douglas Gregory, a powerful Massachusetts senator. I wasn’t sure what the focus would be, but as I began to write, the senator’s mother kept muscling her way into the narrative. After trying for some time to keep her at bay, I finally let her in, and she took over the novel. …Ludka is a wonderful force to be reckoned with. Q: Did you have an interest in the Holocaust and the Polish resistance that predated your research? A: I’ve always had an interest in what makes ordinary people commit evil acts, and of course the Holocaust provides endless fodder for exploring that question. But if you had asked me before Ludka came on the scene if I had an interest in Poland during WWII, or in Polish contemporary art, or in writing an elderly Polish character, for that matter, I would have said ‘no interest whatsoever.’ But that’s what’s brilliant about being a novelist—characters come along and open up entirely new worlds. I’m ever so grateful that Ludka opened up a whole new world to me. Q: Was Tommy’s story based on any specific real-life events? A: No. Tommy’s story grew organically as I wrote the novel. Aside from one image that came to me fully formed—of Ludka crawling through a smoke-filled room with an artist’s canvas under her arm—and which I knew would come toward the end of the book, I didn’t know anything. Tommy, clearly troubled, showed up when Ludka was at church one morning, and his story grew from there. Q: Empathy is at the root of the book and it plays out throughout. Was that a conscious decision? Why is that important to you? Why empathy and not just tolerance, for instance? A: Empathy wasn’t on my mind when I started writing, but it quickly became apparent that it would be a central theme, at which point I consciously focused on integrating it into the book. From the time I was a small child, I saw everything in shades of gray and rankled at any suggestion that things could easily be divided into black and white. I’m still that way. Empathy, in my mind, is something that allows me to open wide to the experience of others and can lead to a deep understanding of what truly makes people tick. Tolerance, on the other hand, feels far more closed off to me—tolerance can create distance, even pity, whereas empathy can create closeness. One of the great joys of writing this book was also the most challenging: writing the character of Warren Meck. Meck and I are about as different as can be, especially politically, and it took me a long, long time to finally get inside and thoroughly understand him. Oddly enough, it was politics that brought us together. For a time, I was a lobbyist in Massachusetts, and like me, Meck loves lobbying on behalf of a cause he believes in. …I definitely get why he enjoys the democratic process. Q: If there was only one thing you wanted readers to take away from this book, what would it be? A: Because this book deals in part with the politically and culturally charged issue of the clash between religious liberty and gay rights, I want nothing more than for readers to walk away thinking twice about their own ideas. I’ve heard already from readers that they were afraid the book would be too dogmatic, a diatribe against the Christian right, and they were pleased to find that wasn’t the case. If my liberal readers gain insight into my Christian characters, and my Christian readers gain insight into my liberal, gay characters, I’ll feel I’ve done my job well. No one, after all, is immune to bias, prejudice and bigotry, on either the giving or receiving end. 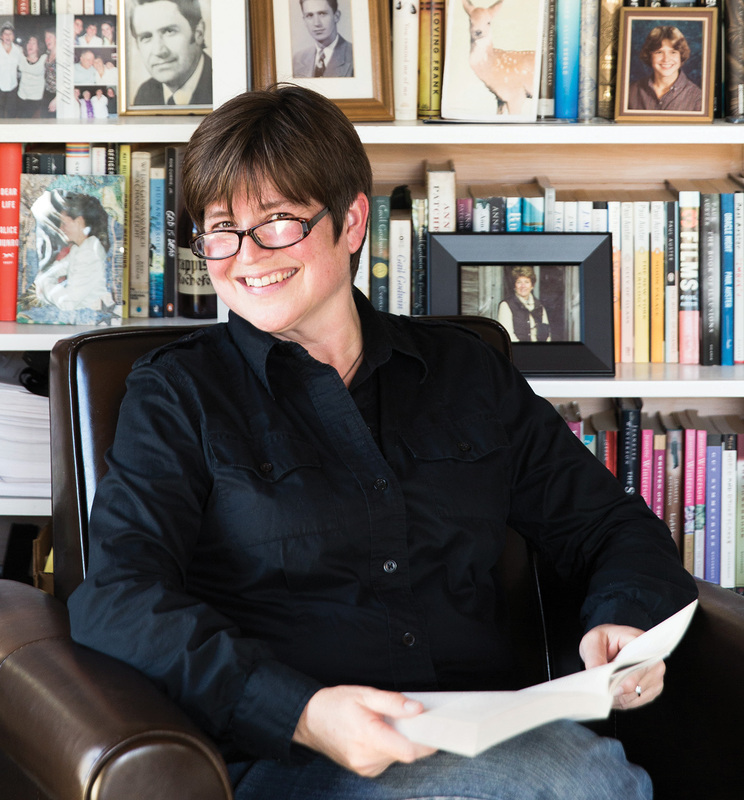 Amy Canfield is a writer, editor and bibliophile. She lives in South Portland.